In April 2018, the Center for Medicare & Medicaid Services (CMS) announced an increase in the amount of payments towards Medicare Advantage Plans and expanded the definition for “primary health-related benefits.” While the increase in payments certainly benefits all individuals who own a Medicare Advantage Plan, the subtle definition change may have a bigger impact on those individuals who require non-traditional medical services. In 2017, roughly 33% of beneficiaries enrolled in Medicare utilized a Medicare Advantage Plan. That number is likely higher in 2018. These plans are sometimes called “Part C” plans. They are plans offered by private health insurance companies which are approved by CMS. Essentially, a beneficiary of such a plan has their Medicare Part A and Part B coverage provided by the private insurer and not through Original Medicare. In addition to Part A and Part B coverage, most Advantage Plans also offer some sort of prescription drug coverage. These plans are required to provide the same coverage as Original Medicare but often cover a range of supplemental benefits in addition to those services covered by Original Medicare. Before the recent announcement by CMS, supplemental benefits were defined as “an item or service 1) not covered by Original Medicare; 2) that is “primary health related”; and 3) for which the plan must incur a non-zero direct medical cost.” These supplemental benefits were usually limited to benefits such as dental, vision, and hearing coverage. Beginning in 2019, the definition of “primary health related” will be expanded to include an item or service if it is used to diagnose, compensate for physical impairments, improve tolerance of the functional/psychological impact of injuries or health conditions, or reduce avoidable emergency and healthcare utilization. The biggest change in the expanded definition relates to the inclusion of items or services used to reduce avoidable emergency and healthcare utilization. Such items and services are being interpreted as those designed to keep individuals healthier longer and to forestall expensive acute-care hospitalization. While there has not been much guidance from CMS as to what items or services will specifically meet the expanded definition of supplemental benefits, those in the health care industry have speculated that items or services could include home-delivered meals, healthy groceries, air conditioners for those with asthma, daily maintenance services, and transportation to and from doctor appointments to name a few. CMS has indicated that the expanded definition of supplemental benefits will continue to exclude items or services primarily used for cosmetic, comfort, general use, or socially detrimental purposes. As explained above, the purpose of the expanded definition of supplemental benefits is so that Medicare Advantage beneficiaries will have an easier time leading healthier, independent lives. Additionally, these supplemental benefits are designed to prevent future illness or injury, address psychological effects of such illness or injury, as well as reduce emergency care. Important for many readers to understand is that the expanded definition of supplemental benefits expressly includes daily maintenance services. 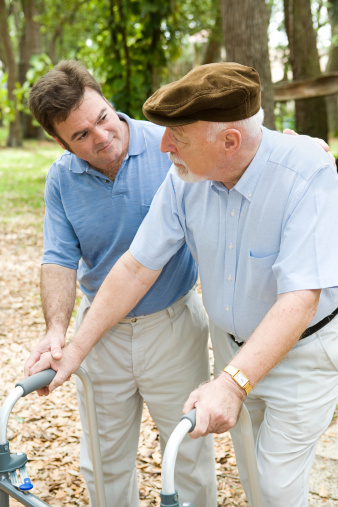 Non-skilled in-home care services such as fall prevention, medication adherence, proper nutrition, and grooming are all services that could be covered under the terms of certain Medicare Advantage Plans. As a result, home health care services may now be covered under certain Medicare Advantage Plans whereas such services were not previously covered. Any time policy is changed to include expanded coverage fiscal conservatives wonder where the additional resources needed to pay for expanded coverage will come from. In theory, however, the purpose behind the expanded definition of supplemental benefits is to reduce overall payments made by Medicare. Expending funds for items and services designed to prevent illness should lead to a healthier society and cost savings as a result of needing fewer catastrophic health care items and services. For example, providing coverage of home modifications such as installing grab bars in a bathroom will aid an individual with their Activities of Daily Living and help prevent avoidable fall injuries or the exacerbation an existing health condition. The amount expended to cover the home modification could be much less than the cost of coverage if the individual had fallen and required hospitalization and post-hospital rehabilitation. It is clear that the expansion of the definition of supplemental benefits has the potential to benefit many individuals. What is not yet clear, however, is what providers will be willing to cover and what this increased coverage will cost. Not all supplemental benefits will be covered under every Medicare Advantage Plan. Those plans with more extensive coverage will likely have higher premiums for such expanded coverage. Therefore, it is likely that those who will benefit the most from this expanded definition of supplemental benefits are those with the funds to pay for such expanded coverage. Finally, and perhaps most importantly, keep in mind that the expanded definition of supplemental benefits only pertains to Medicare Advantage Plans (or those with Part C coverage). It does not apply to those enrolled in Original Medicare, which traditionally costs less than Medicare Advantage Plans. Those who can’t afford the additional premiums for an Advantage Plan will not experience the benefits of this change. The important thing for readers to understand is that not all Medicare Advantage Plans are the same. It is imperative that the individual know which supplemental benefits are covered and which are not and the costs associated with such coverage so that the individual can make an informed purchasing decision. Individuals should sit down on an annual basis with an insurance professional who focuses on Medicare Advantage Plans to review their coverage. Often these professionals will do so free of charge, only taking a fee from the insurance company once coverage is purchased. Annually reviewing your coverage will help ensure that you have the policy which best suits your current needs.